The one about Why Pokémon Go is a gift to museums! Hooray! The Internet has finally come to its senses and something other than Underwhelming Fossil Fish of the Month has topped the charts! We never did understand why people would be interested in these dreary fossil fish, so well done for all of you who made the sensible choice and read something more whelming. Being a Victorian collection of dead animals, we naturally like to keep up with all the latest digital crazes, and our Top Post is all about the big one from the summer of 2016, and why it might be no bad thing for museums. 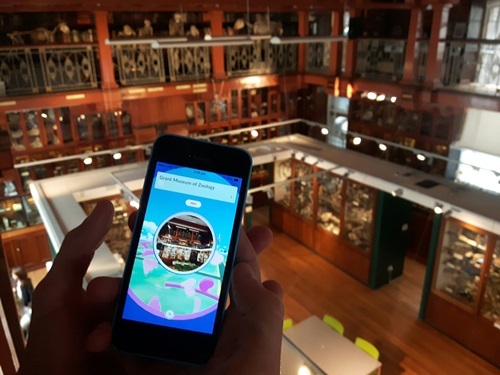 Why Pokémon Go is a gift to museums! Eighty years extinct: today is Thylacine Day, commemorating the 80th anniversary of the death of the last known thylacine. Do some animals look too boring to be in a museum? ** Technically the UFFOTM featured five times in the true Top Ten (in 2nd, 5th, 6th, 7th and 8th), so this list here is the Top Ten if we only count it once, to make it a bit more varied. We get to number 15 in the rankings before we have a list of ten with UFFOTM counted once, so people clearly are still interested in smudged grey fossils for some unfathomable reason.